Sicily lies southwest of Italy; on the map it is the island that the mainland boot kicks. 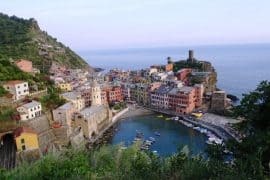 An island with a vastly different vibe than the northern cities of Italy, Sicily is a cultural melting pot with so many exciting things to see and do. It is the largest Mediterranean island and is located between Italy and the eastern coast of Tunisia. The history stretches back thousands of years, and the cultural influences on Sicily range from Africa to the Middle East. 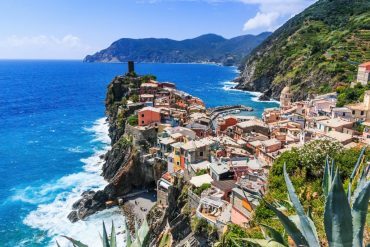 Sicily is a destination that needs more than just a few days; spend five days in Sicily to immerse yourself in the culture of this rich Italian island. 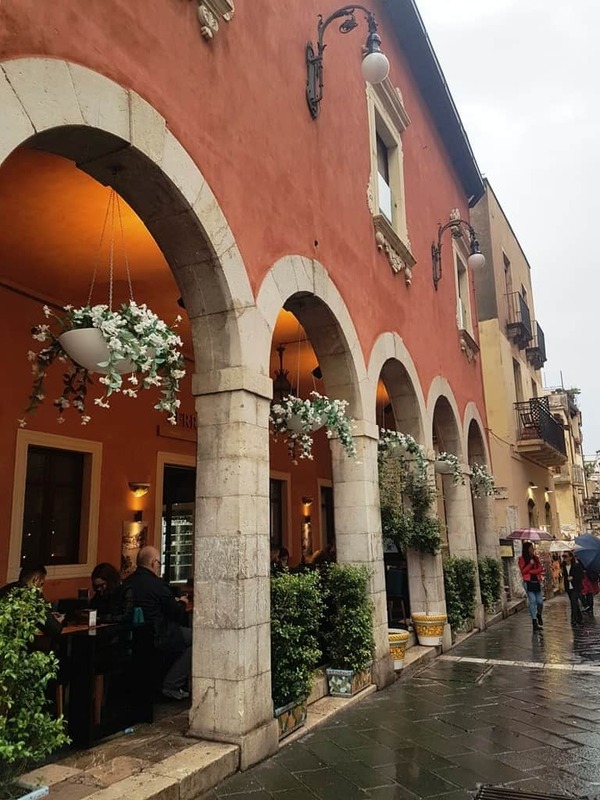 My five day itinerary for Sicily covers the eastern half of the island and features several of the highlights in Siracusa, Catania, and Taormina. Fly to Catania from numerous places across Europe. 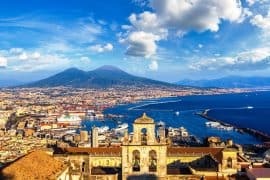 Spend your first day exploring Sicily’s second largest city and home to Mt Etna, an active volcano and national park. 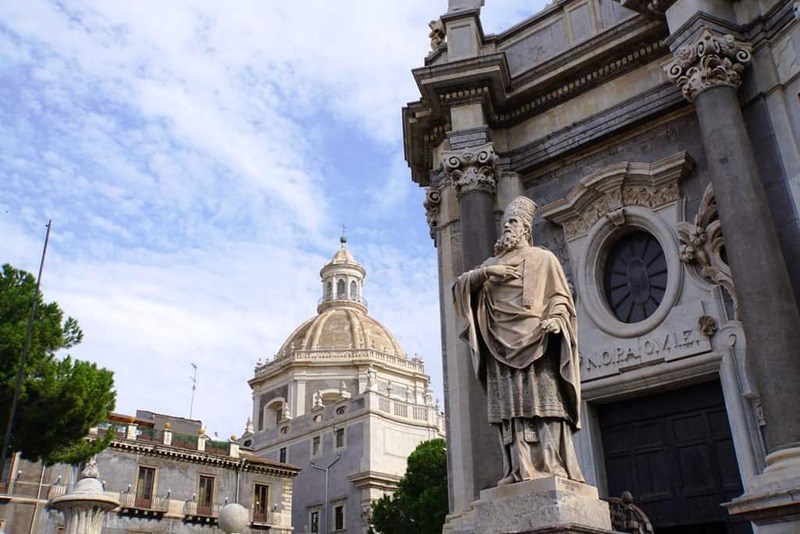 Catania is home to the oldest university in Sicily. 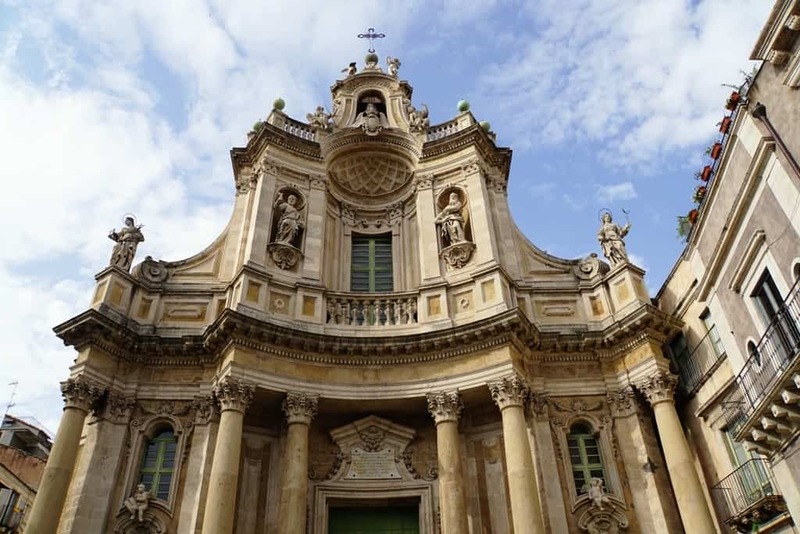 During the early Renaissance, Catania was one of the most important cultural, artistic, and political centres in Italy. The old city core is one of the best examples of Italian Baroque architecture and is a UNESCO World Heritage Site. This 4-star hotel is located in the historical centre of Catania and only 20 minutes on foot from the beach. 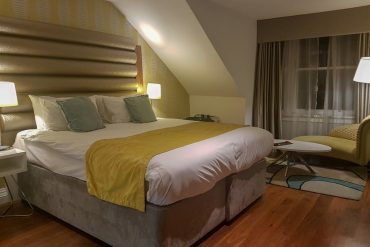 All rooms offer elegant furnishing free Wi-Fi, and a satellite TV. This elegant bed and breakfast is located in the centre of Catania and offers guests free Wi-Fi, air-conditioning and a flat screen TV. 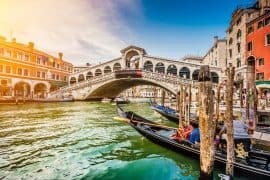 Check the latest prices and book the Domenico Florio Palace. 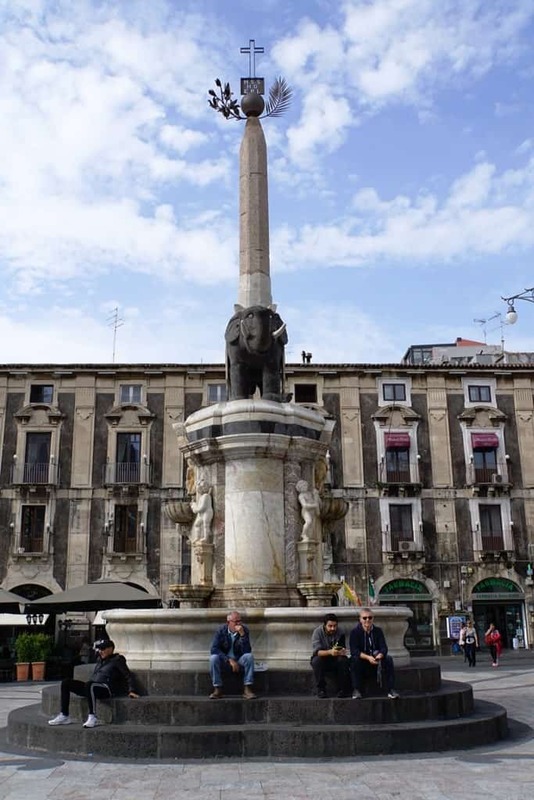 The Elephant Fountain is a fountain at the centre of a piazza in Catania; it dates to the 18th century and the origins of the fountain and bizarre Egyptian obelisk atop it are well documented. However, the origins of the basalt elephant are mysterious – it supposedly dates to the Roman period although some have pointed out that it doesn’t look Roman. In the 12th century, the geographer Muhammed al-Idrisi finished the most accurate map of the world, and in it noted that the citizens of Catania venerated this elephant, which supposedly has magical powers. 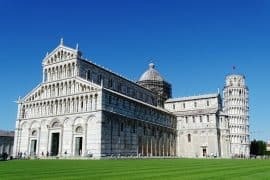 Today, you can view it in the centre of the Piazza Duomo. 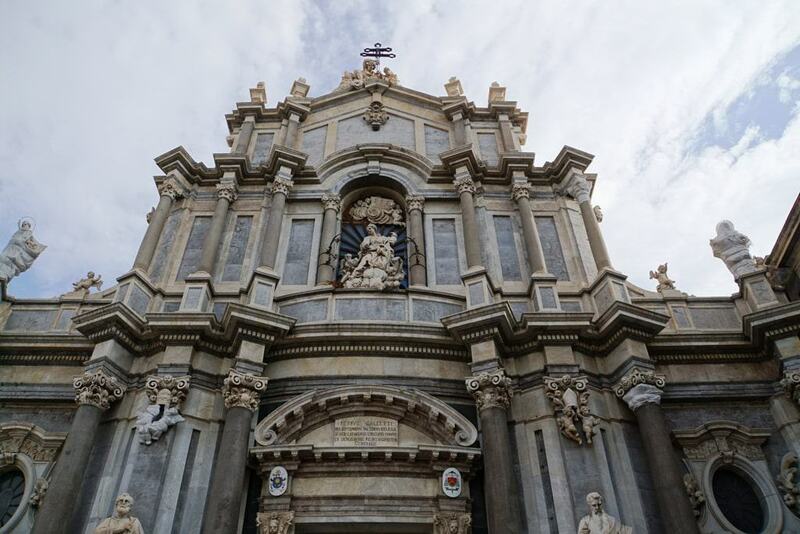 Catania’s duomo, or cathedral, is an 11th century cathedral built on the ruins of the Roman Achillean baths. It is dedicated to Saint Agatha. Little remains of the original cathedral, which was built in the style of a fortified church, because it was badly damaged by earthquakes in 1169 and 1693. Parts of the original Norman edifice remain, though, and can be seen in the towers and transepts. Ursino Castle, also known as Castello Svevo di Catania, is a 13th century castle in the centre of Catania. It was built for the emperor to stress royal power, and was later used as a prison. 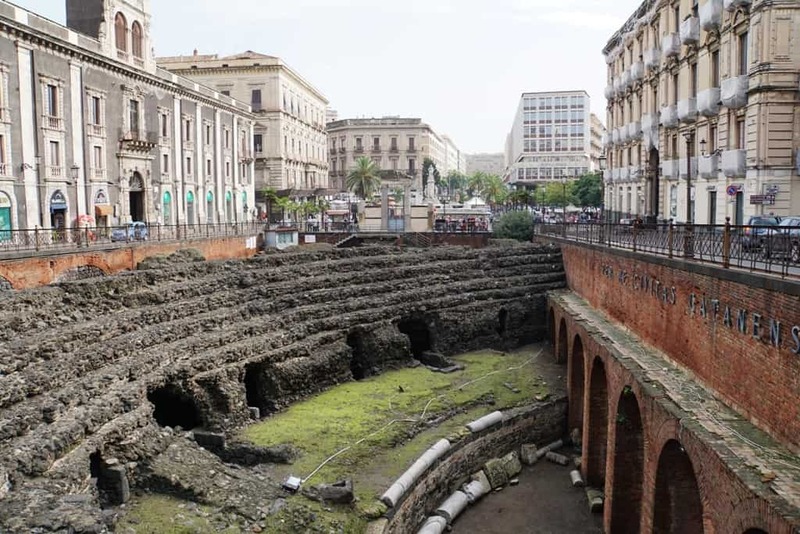 It is one of the few buildings in Catania to survive the devastating 1693 earthquake. The city bought and began to restore the castle in the 1930s. Today the castle is a museum dedicated to the diverse cultural influences on Sicily. The Palazzo degli Elefanti is a historical building in the cathedral square. It was designed and built following the 1963 earthquake and is of the Baroque style. Today it houses the Town Hall. Spend your second day out exploring Mount Etna, an active volcano just a short distance from the city. The mountain towers over the plains below, at over 10,000 feet above sea level. 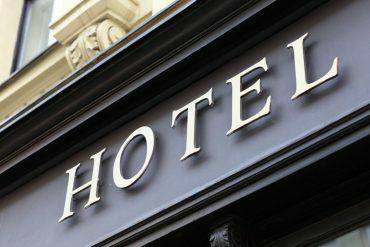 You can do a tour that begins with a pick up at your accommodation. You’ll ride up to the ancient crater while listening to your guide talk about the history of the volcano, the flora and fauna among the ecosystem, and how the various eruptions have shaped the surrounding landscapes. Other highlights of the half-day tour include a visit to a lava flow cave and a stop overlooking the Valle del Bove, one of the most important valleys on the east side of the volcano. Click here for more information and to book this tour. If you want to visit Mt. Etna on your own, you can take a local bus from Catania to the foot of the mountain. There is only one bus that leaves from the Catania bus station in the morning and returns late in the afternoon, so if you choose to do this you can expect it to be crowded. Once you get to Etna, you have the following options: For a single ride on the cable car you pay €24 , for a return ticket you pay €30. Many people like to hike Mount Etna, and for a reasonably fit person it is easy to do. If you want to go higher without climbing, you also have to purchase a jeep trip with a mandatory guide €9 and €24 extra for the jeep. To climb from 1910 meters to the summit of Etna (2900 meters) with the help of both the cable car and jeeps you will have to pay a total of €63. The bus from Mount Etna leaves for Catania at 4:20pm, and if you miss it there is no other way back, so don’t be late! 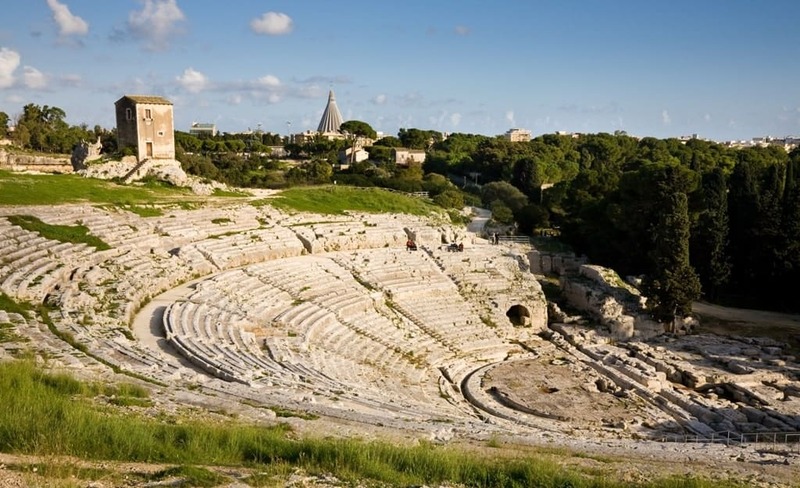 Siracusa, or Syracuse, is an ancient Greek city on the Ionian coast, known primarily for its Greek and Roman ruins. 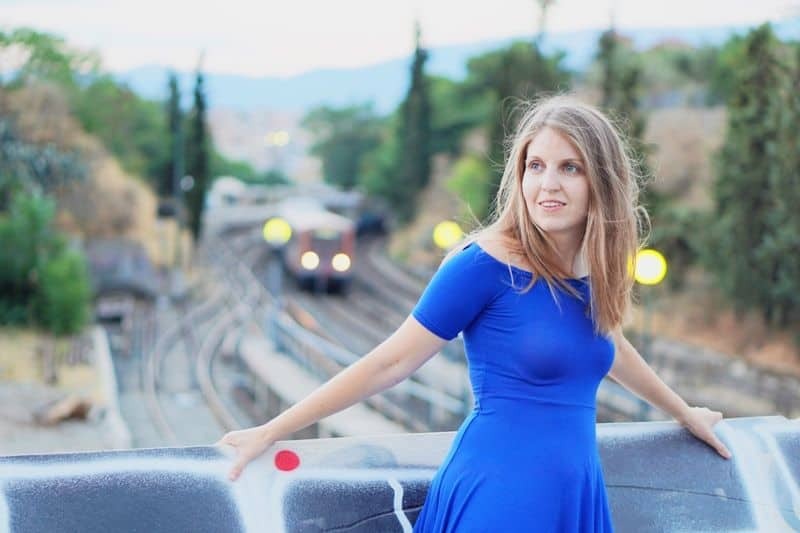 It has been a Mediterranean power for over 2,700 years, allied with Sparta and Corinth, and was one of the most influential cities across Magna Grecia to rival Athens. Since 2005, the city of Syracuse and the nearby Necropolis of Pantalica are a UNESCO World Heritage Site. 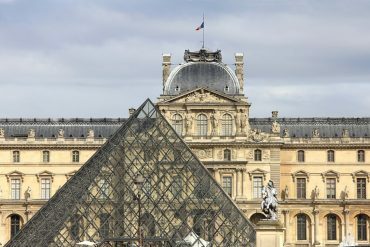 Visitors will see Greek, Roman, Byzantine and Baroque influences. 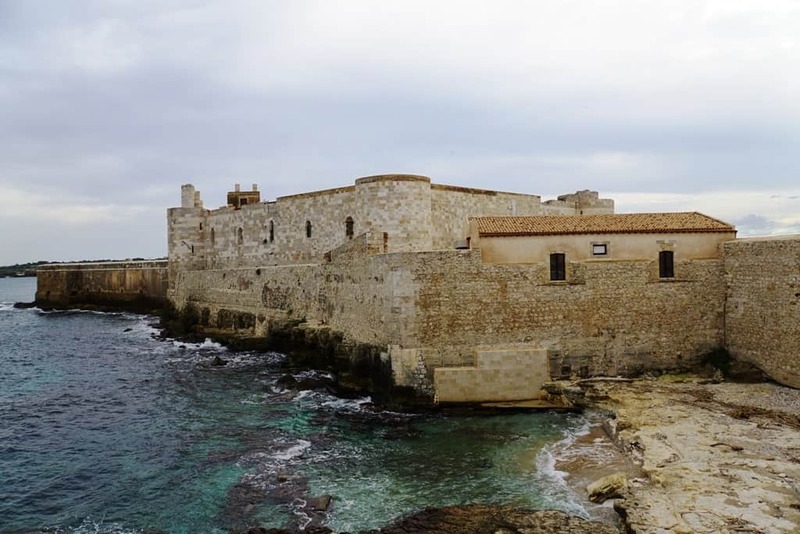 Ortygia Island is the historical core of the city, as its island status allowed for natural defenses and it was big enough to hold the population within its walls. Today it is a popular tourist destination as well as a residential area. 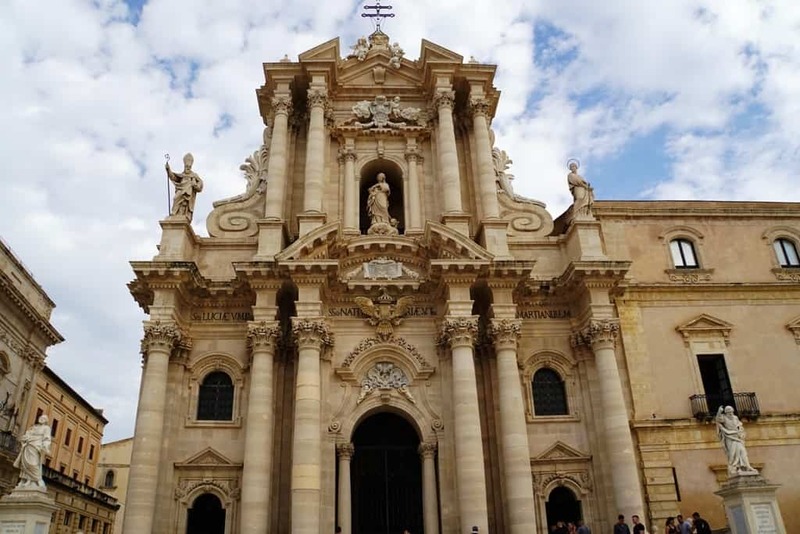 The Syracuse Cathedral is a 7th century cathedral on Ortygia Island; it is built on the site of a 5th century Greek Temple of Athena, which was built on the site of an even earlier temple. The Temple of Athena was incorporated into the cathedral walls and can be seen both inside and out. The cathedral was restored following the earthquake and is now considered a Baroque style cathedral. The Necropolis of Pantalica is a collection of rock-cut chamber cemeteries within the Siracusa region, about 23 kilometres from the city. It is estimated that there are between 4000 and 5000 rock-hewn tombs on the promontory, which is surrounded by a deep gorge made by two rivers. Pantalica is actually five different necropolises spread out over a wide area. There is also a Mycenaean palace, which was excavated in the 19th century. Archaeologists are uncertain if there are various habitations associated with the different burial eras. The region is also an important nature reserve, and home to several indigenous creatures. There are plenty of pathways to explore, including some old, abandoned railway stations. 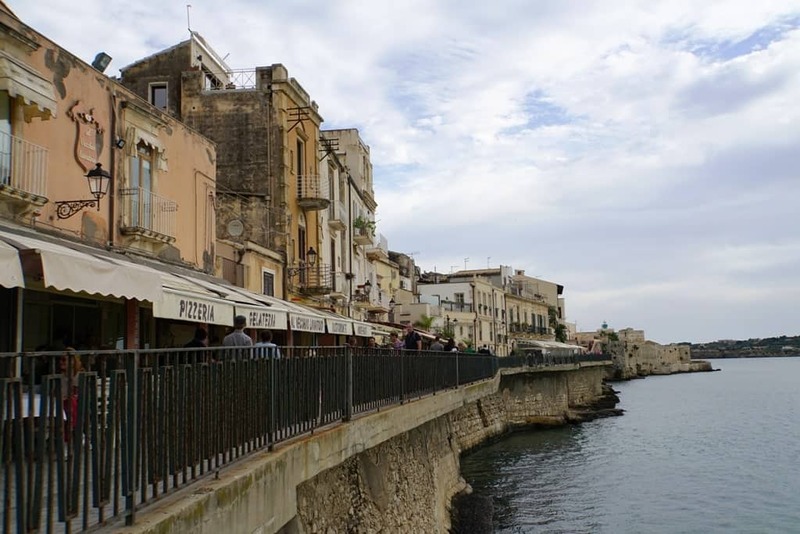 You can easily get to Siracusa with the bus leaving from the Catania bus station. 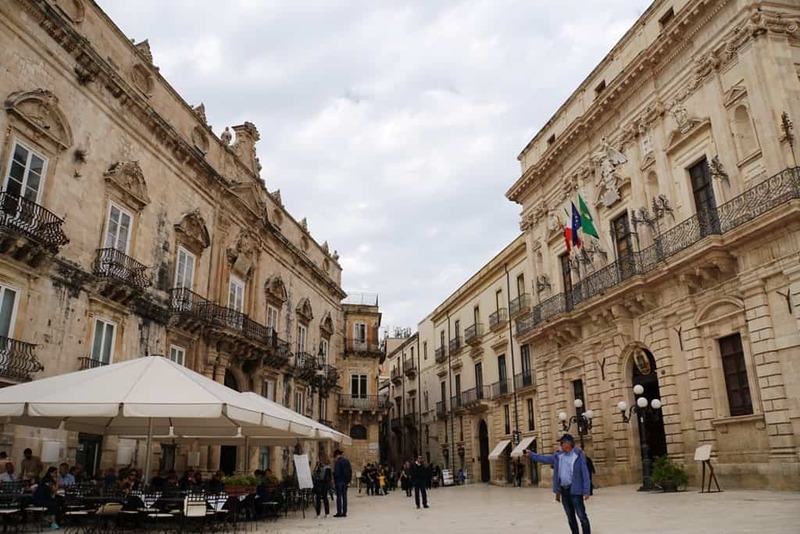 Alternatively, you can book a day trip that visits Siracusa, Ortigia and the small town of Noto, famous for its unique style of Sicilian Baroque architecture. 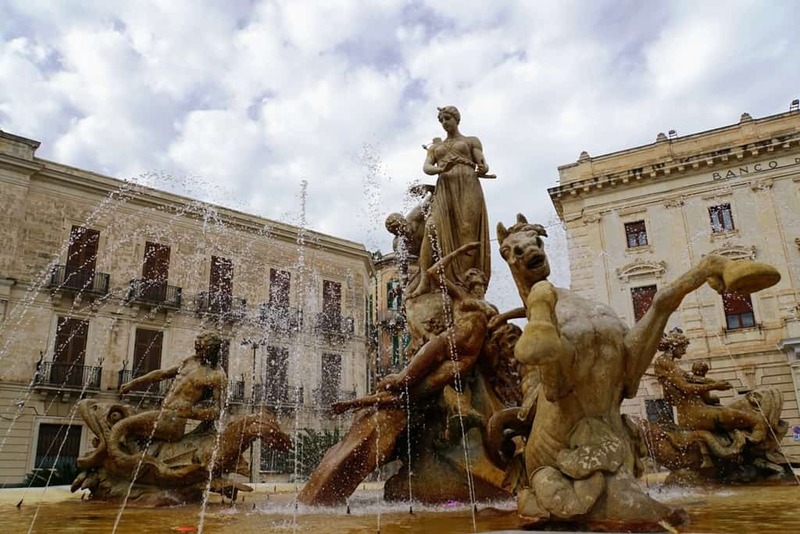 Click here for more information and to book a day trip to Siracusa and Ortigia. Taormina is a resort town within the Messina region of Sicily, on the east coast of the island. It boasts the second largest Greek theatre (after Syracuse) in Sicily and is also home to a number of other Greek and Roman ruins. The city lies at the top of a steep cliff overlooking the Ionian Sea; a Saracen castle lies an even further 150m higher, atop an isolated rock. 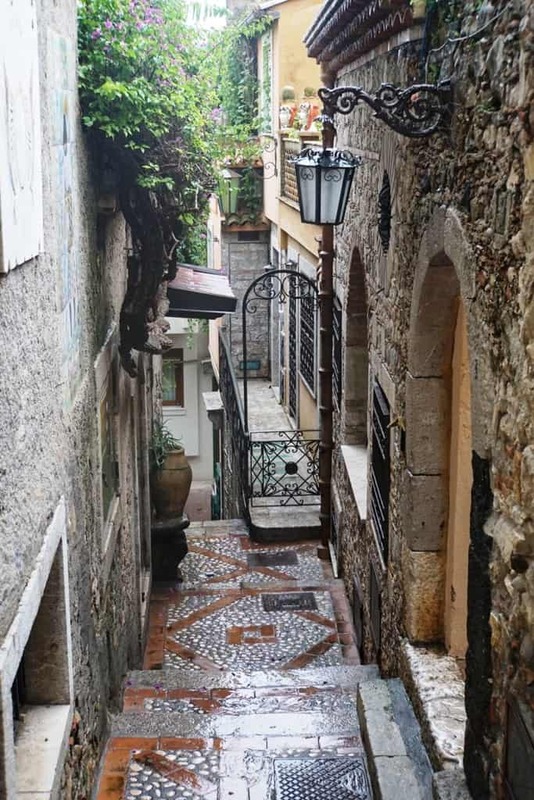 Taormina is known for its ancient theatre, local nature reserves, and a lively town centre. 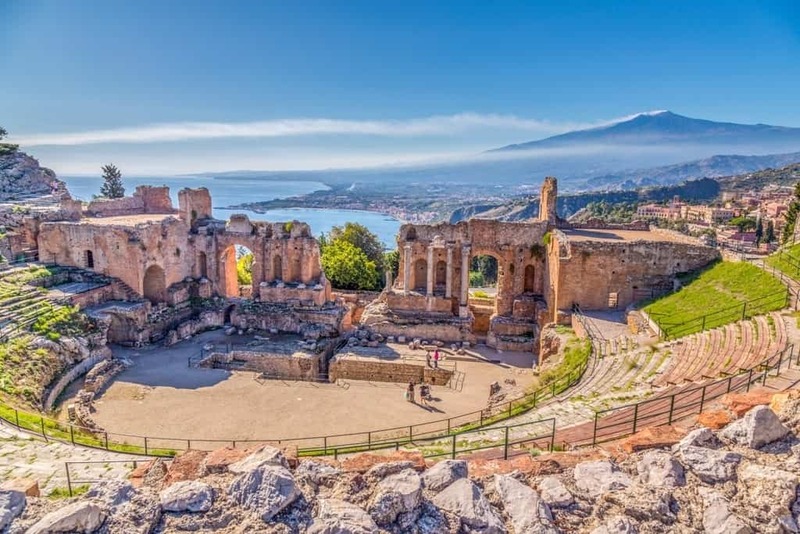 Taormina’s ancient theatre ruins are in accordance with Greek plans, although the actual construction is brick, leading researchers to believe that the Romans rebuilt the theatre on top of earlier ruins. The theatre, which is incredibly well preserved, is still used today for concerts. 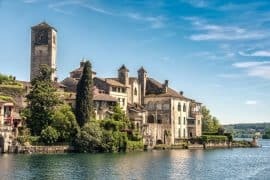 Isola Bella is linked to the mainland by a small strip of land, accessible at low tide. The island is rocky and surrounded by many little sea grottoes. Isola Bella is counted among Taormina’s most beautiful beaches. Palazzo Corvaja is Taormina’s Moorish Gothic medieval fortress. The early structure was built by Arab rulers in the 10th century, on Roman foundations, and was subsequently added to over the centuries. The main tower fortress is Islamic-style architecture, while North African and Islamic influence is seen in the entire building. 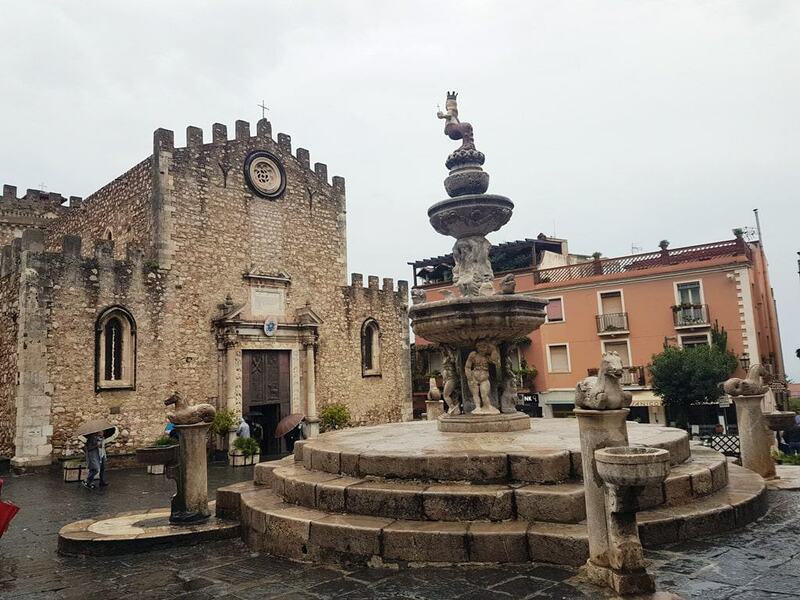 Mazzaro is Taormina’s seaside village; it is accessible via cable car, taxi, or bus. Many find the beach here to be incredibly beautiful as well, and there are both sunbeds available to rent and free beach areas to sunbathe in. 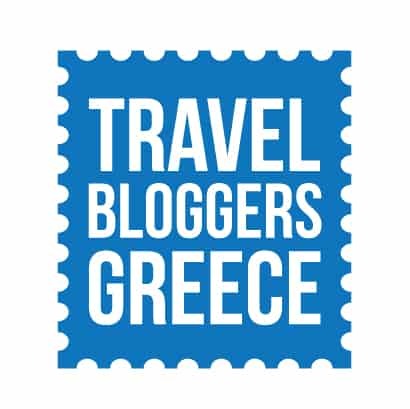 There are several luxe hotels along the shore here, as well as charming tavernas and vibrant bars. 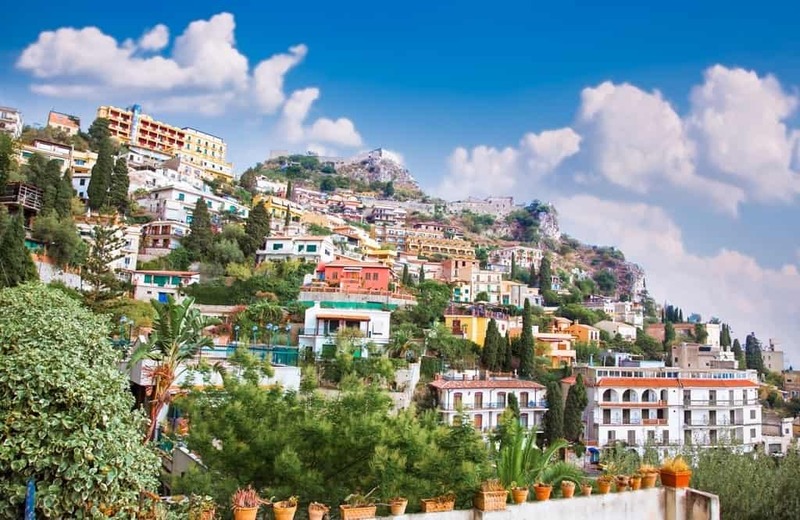 Giardini Naxos is the elegant and cosmopolitan seaside resort village of Taormina. 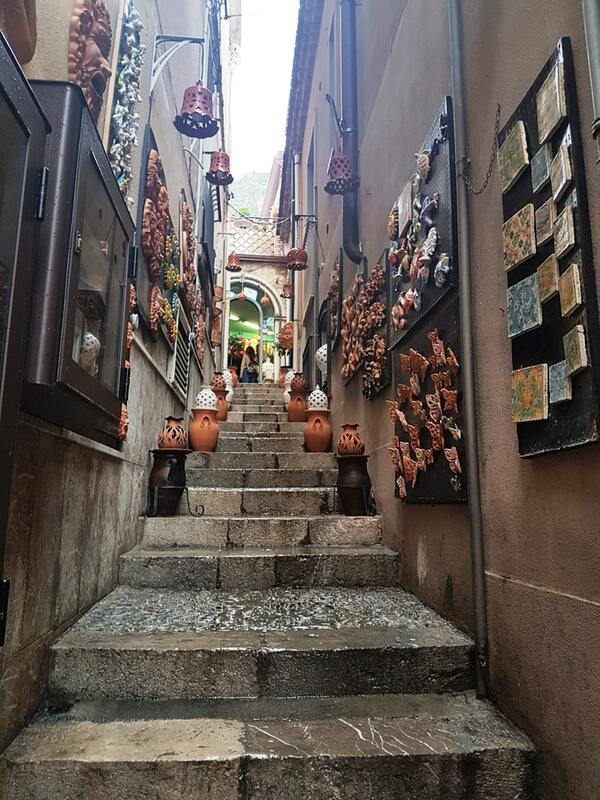 It pulses with locals and tourists through the summer, while still preserving its charm. You’ll find plenty of great eateries here as well as luxury hotels and bed and breakfasts. 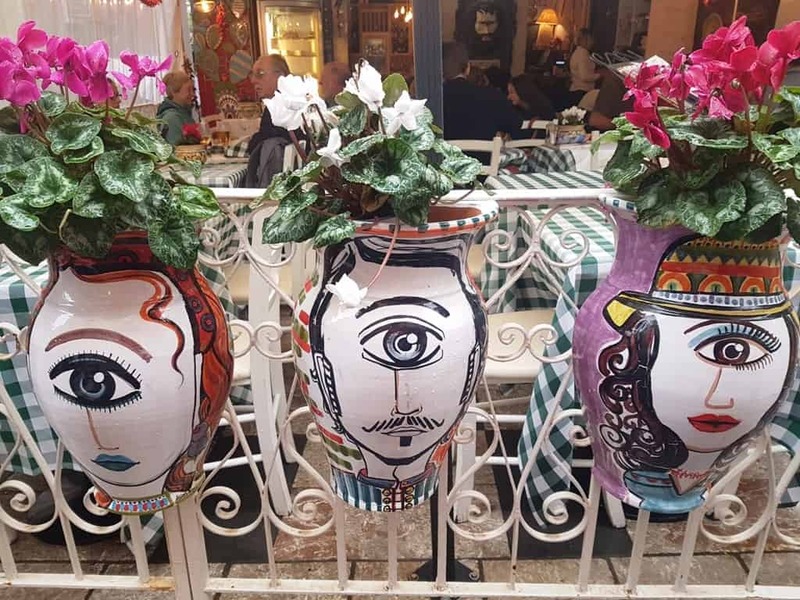 On your fifth and final day in Catania, spend the morning exploring the city or enjoy a leisurely meal in one of the city’s many popular restaurants and cafes before departing. 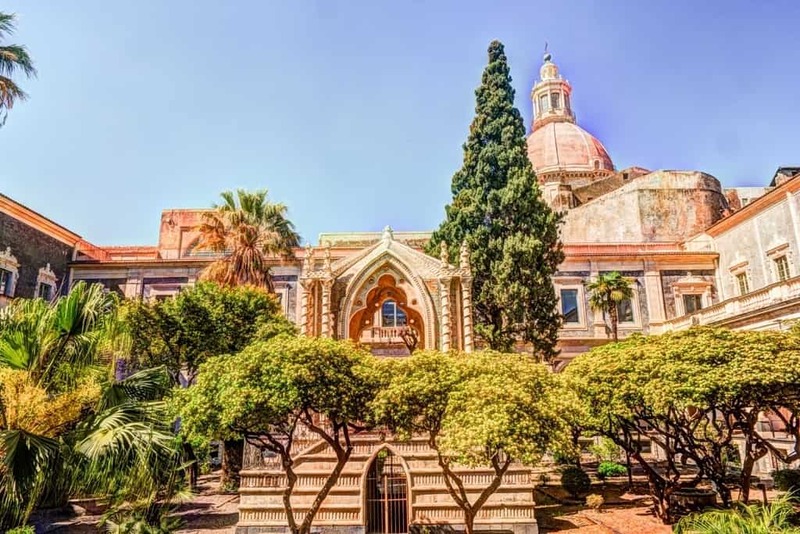 The Benedictine Monastery in the centre of Catania is one of the most important examples of its kind in Europe. It is also the second largest monastery in Europe and a UNESCO World Heritage Site. Founded in 1558, the monastery cloisters, Basilica of San Nicolo, and Red Hall are all worth visiting. The monastery is also home to the University of Catania’s Department of Humanities. The Basilica of San Nicolo is the largest church in Sicily. Built on the site of a Greek acropolis, the facade features some of the Greek columns. The church exterior was apparently never finished, though, so it’s not entirely pleasing to the eye. The interior is much nicer and worth seeing. The Civic Museum of Catania is located within the Ursino Castle. It is home to several important collections, including the Bisari Museum collection and a number of Hellenistic and Roman sculptures. The second floor features Renaissance paintings. It’s relatively easy to get around Sicily, but it takes a bit of planning. You can never assume that the trains or buses will run on time, or even if they’re running (regardless of the schedule). You can hire a personal car and drive yourself – just be aware of the driving laws in Italy. So, how do you get around Sicily? The easiest way to get around Sicily is to have your own private car or to hire a car and driver. No waiting on trains or buses, no figuring out the schedule – you have the freedom to stop whenever and wherever you like. On the flip side, Italian drivers are known for being wild, and Sicilian drivers are even more so. American and Canadian drivers also need an international drivers license, which you must apply for before leaving home. Buses are becoming the more common way to get around Sicily, as train stations in smaller towns are closing due to lack of funding. Check the bus schedule to figure out the best route, and be prepared for the bus to be late. There are three main bus companies that operate on Sicily; which company you choose will depend on where you want to go. There are also two different colours of buses. Blue buses travel between large cities, while the orange buses travel between the smaller towns. Buses are the only form of public transport that service in interior of the island. You can purchase tickets for the bus in advance or on the bus; both tickets must be validated when you get on the bus or you risk being fined. Intercity trains link the major cities (Palermo, Catania, Taormina, Siracusa, Agrigento) but may not stop at the local stations. When purchasing train tickets, make sure you are purchasing tickets for the regionale or locale trains if you want to stop in one of the small towns. Be sure to validate your train tickets before boarding. Sicily offers visitors a myriad of experiences, from the vibrant city of Catania and nearby Taormina to the ancient Siracusa and Ortygia. Mount Etna stands sentinel above the entire eastern half of the island. 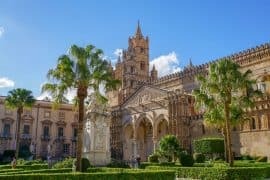 Five days in Sicily is a wonderful introduction to the history and heritage of this Italian destination. As an island, it boasts excellent beaches, a rich and varied history, and plenty of cultures stemming from the melting pot of its background.